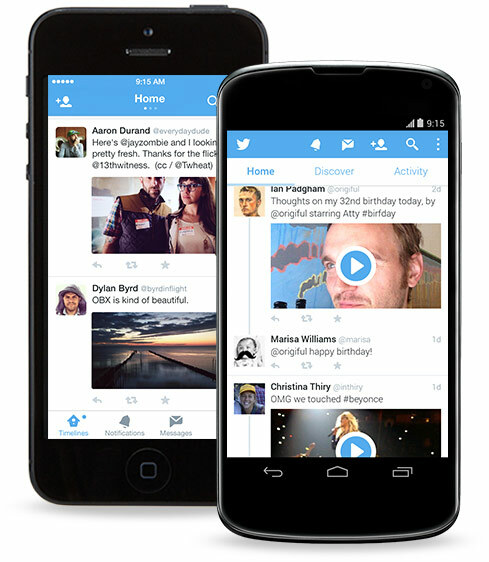 Twitter For iOS & Android Updated w New UI, Photo In DM, Swipe & More! Christmas comes early for Twitter users worldwide as the mobile app got updated with a refreshed look and new features. 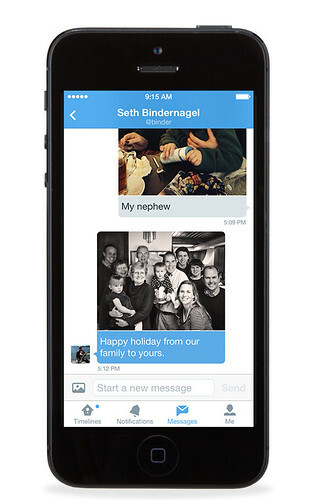 Now you can send and receive photos via direct messages and swipe back and forth between timelines. There are a bunch of other great updates in this release. For example, on Twitter for iOS, new in-app notifications show you when people send you a DM or favorite, retweet and reply to your Tweets. And on Twitter for Android, you can easily turn on mobile notifications for specific users by tapping the star on their profile.